This page contains a translation into English of the lyrics to the Egyptian song "Mateegy", which was sung by Hakim. Also included is a transliteration of the Arabic lyrics into the Roman alphabet so you can sing along if you like. Hakim is known worldwide as a superstar of Egypt's musical genre known as shaabi. He used modern instruments such as bass guitar and keyboard to bring an updated sound to the traditional music, and added a beat that proved to be a hit on dance floors in the discos. As a child in the town Maghagha, Hakim formed his own band and played shaabi hits made popular in the past by Ahmed Adawiyya and others. His father, the mayor of the town, pressured him to attend the University of el-Azhar in Cairo, in hopes Hakim would follow a professional career path instead of music. However, once in Cairo, Hakim made contact with the musicians of the Cairo cafes and received organic musical training. Following graduation, he returned to his musical path. 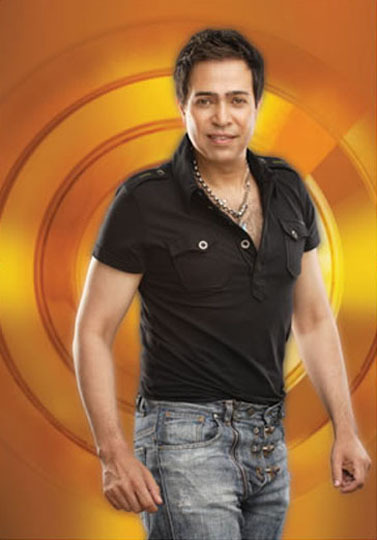 He formed a band back in Maghagha, which quickly became popular around the province of Minya. Today, Hakim enjoys superstar status, known for his innovative fusion of traditional music with a modern day pop sound. He has won much acclaim, including the prestigious Kora Award in 2000 for the category Best North African Singer. Nensa layali ah! nights yes!